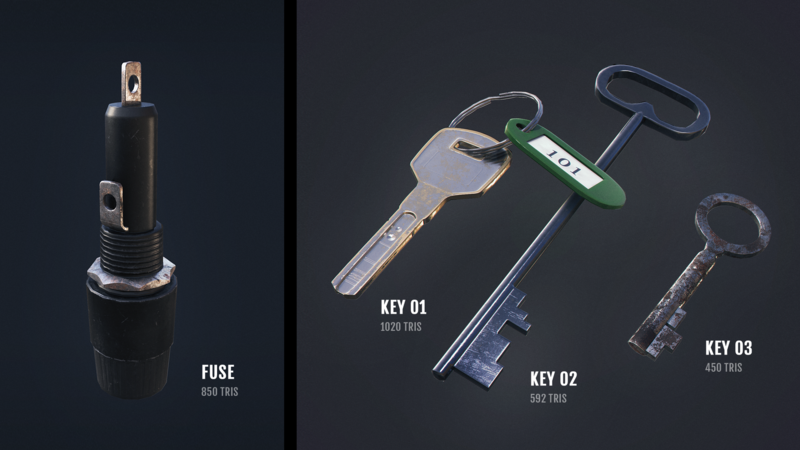 I’m more than happy to announce that my new pack „Scavenger’s Loot pack” has been released on the UE4 Marketplace! 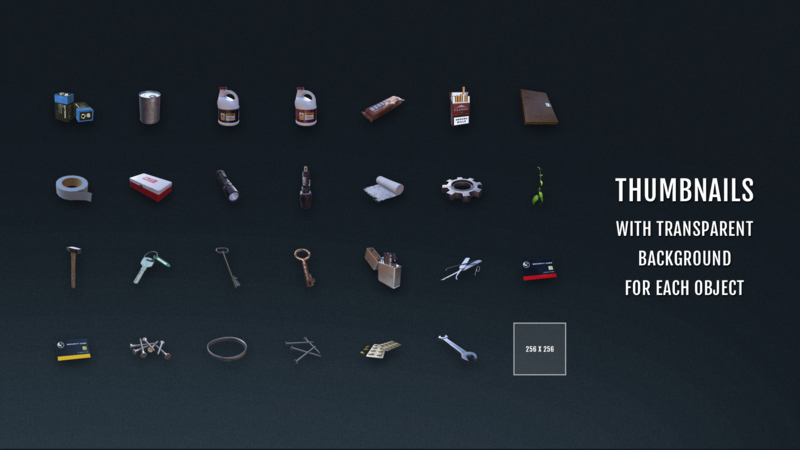 Scavenger’s Loot Pack – A pack of assets for everyone who loves to scavenge, loot or craft in adventure, survival / horror games. 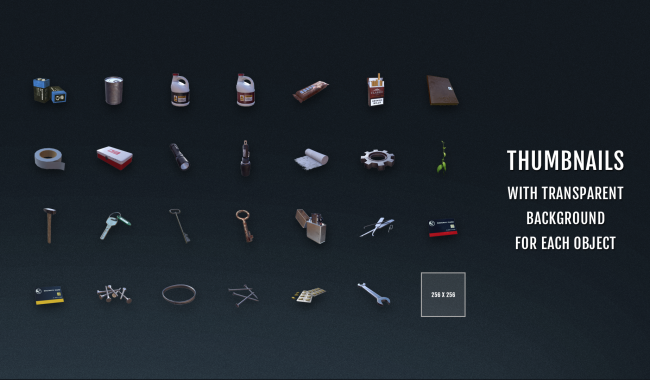 Objects are grouped into 5 categories: Craft Parts, Food, Health, Misc and Tools. 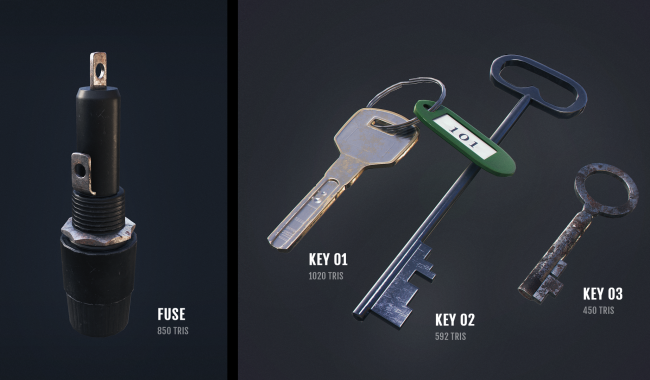 Open wishlist: Vote for new assets to be added in future updates! The pack contains thumbnails with transparent background for each object.